‘Just about managing’ no longer – the benefit cap will push struggling families into deeper poverty. 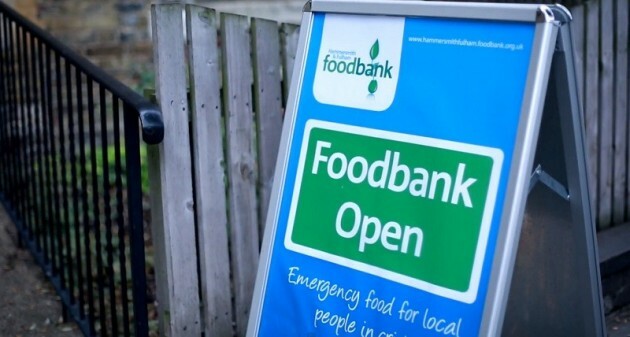 This month, 425 of the poorest households in Edinburgh had their benefits cut as the Tory government’s extended benefits cap was rolled out across the city. There is a cruel irony in the fact that just as the Conservatives attempt to position themselves as the party of those who are ‘just about managing’, this indiscriminate and damaging policy will place hundreds of Edinburgh’s must vulnerable families at severe risk of material deprivation, homelessness and household food insecurity. The cap is merely the latest in a litany of UK Government welfare reforms specifically designed to vilify those who have least and create a false and potentially dangerous distinction between the ‘deserving’ and ‘undeserving’ poor. However, out of all of these policies, the benefit cap is perhaps the most fundamentally flawed. For one, it is fails to take account of individual household circumstances and places an arbitrary limit on the amount of benefits that may be received regardless of where the person lives or how many children they have, thus breaking the long established link between social security and need. According to the Department of Work and Pensions’ own research, the result is that almost two thirds of those affected will be female lone parents, with analysis undertaken by One Parent Family Scotland suggesting that a single parent with two children will be left with less than £120 per week for housing costs – not much in Edinburgh’s overheated rental sector. This means that those who either can’t find work or can’t afford childcare in order to get out to work will have to choose between giving up their home or bringing down household expenditure some other way – with cutting spending on heating or food the only option available to many. Faced with such choices, the mental and physical toll that this policy will have on those who find they no longer have enough to make ends meet will be devastating. Increases in the rate of child poverty, family breakdown and hunger are all likely consequences – with an already stretched network of local authority and third sector services placed under additional strain as they struggle to cope with the fallout. Ostensibly, the Westminster government maintains that the cap is effective in ‘incentivising’ work and encouraging the unemployed into employment. Yet such a claim is refuted by their own research, with a joint project between the DWP and Oxford City Council determining that the odds of long-term unemployed claimants finding work ‘reduced by 2% for every pound of income lost through benefit cuts’. This research merely proves what we already instinctively understand – that the crushing effects of poverty, worrying if you can keep a roof over your family’s head and wondering how to put enough food on the table are probably not the best conditions in which to find gainful employment. Yet even as I write this, I know that there will be those who agree with the simple proposition that ‘no one on benefits should earn more than someone in work’, indeed, when the policy was put to a vote in the House of Commons, only 48 of Labour’s 216 MPs voted against it. But this is a dangerous oversimplification of a complicated problem. My belief, and the belief of the SNP is that the most effective means of eliminating poverty and supporting people into work are those that are rooted not in ideology and sound-bites, but borne out of the best possible international evidence and research. Experience tells us that it is targeted, holistic support which is most effective in both protecting people from poverty and assisting the unemployed into secure employment – not an indiscriminate cap which unfairly and unnecessarily targets the poorest and weakest in society. Instead of creating additional barriers that only serve to punish the most vulnerable, our focus should be on removing the barriers that prevent people from working and to do so in a manner that takes into account individual circumstances and treats people with basic human dignity and respect. You think “There is a cruel irony in the fact that just as the Conservatives attempt to position themselves as the party of those who are ‘just about managing’, this indiscriminate and damaging policy will place hundreds of Edinburgh’s must vulnerable families at severe risk of material deprivation, homelessness and household food insecurity”. I think my irony is bigger than yours. It is, that it is an SNP government at Holyrood that is the instument of choice of the Conservatives to administer the policy in Scotland. Now that is cruel irony. Richard, has the benefits cap been devolved? If not, what can the Scottish Parliament do about this problem? So if it was the Labour Party or ( lol ) The Ruth Davidson Party at Holyrood administering these Tory cuts , would that be ironic in your callous eyes ? The Labour and Conservative parties are unionist parties. They (say they) believe in the devolution set up where by some powers are devolved and some (the important ones) are retained by the superior parliament. The MSPs of the unionists parties should be embarassed because Holyrood is an embarassment to us all, but their salary enables any shame they have to be hidden by putting on a mask of ‘faux serious politician’. It is only the SNP and its MSPs that really have to have a long look at themselves for their association with Holyrood. Not only are they taking part in Westminster’s governance of Scotland, they are running it for them. Thanks Richard for reinforcing exactly why we need nothing less than independence. Hollyrood is but a devolved administration. Westminster is where the big shots are called and until we get shot of Westminster nothing will change. La La Land has garnered a total of 14 nominations at the 2017 Academy Awards. Emma Stone and Ryan Gosling are looking good to pick up best actor prizes. The last film to be nominated 14 times was Titanic. Are you ready to pickup the new actors for the Brexit ? Erratic and grossly expensive public transport. A very wobbly economy and weird employment conditions. Antique school systems and a dearth of affordable upskilling options at practical hours. Access to computers and broadband plus training for those unused to keyboards for older people. Health advice and treatments that are sooner not later. After school care that really takes care of kids. Humane working hours for a realistic wage/salary that covers the basics and a few frills. Affordable housing. Apprenticeships both traditional and modern. Entry level work with on the job training and coaching. Portable pension funds that no political tribe can ever get its thieving suckers on. Actively tackling ageism and classism and many more of the silly-serious exclusion mechanisms. Or is it all about ‘interventions with individuals’ without seriously upgrading the environment they’re existing in? Same old waste of money victim blaming. International Covenant on Economic Social and Cultural Rights. Art.9 “The States Parties to the present covenant recognise the right of everyone to social security, including social insurance. Apparently the UK is in breach of its legal obligations.